Every Egyptian creation text begins with the same basic belief: that before the beginning of things, there was a liquidy primeval abyss—everywhere, endless, and without boundaries or directions. Egyptians called this cosmic ocean/watery chaos Nu/Ny/Nun—the un-polarized state of matter. Water is formless, and of itself it does not take on any shape; nor does it resist being shaped. Scientists agree with the Ancient Egyptian description of the origin of the universe as being an abyss. Scientists refer to this abyss as ‘neutron soup’, where there are neither electrons nor protons; only neutrons forming one huge, extremely dense nucleus. Such chaos, in the pre-creation state, was caused by the compression of matter; i.e. atoms did not exist in their normal states, but were squeezed so closely together that many atomic nuclei were crowded into a space previously occupied by a single normal atom. Under such conditions, the electrons of these atoms were squeezed out of their orbits and moved about freely, i.e. in a chaotic, degenerate state. Nu/Ny/Nun is the “Subjective Being”; the symbol of the unformed, undefined, undifferentiated energy/matter, inert or inactive; the uncreated state before the creation – it cannot be the cause of its transformation. The term “infinite”, of course, is synonymous with “not finite”, undefined, unlimited, unshaped, undifferentiated, and so on. This means that the energy/matter out of which all things are formed must be, in its essential state, unformed, undefined, undifferentiated, etc. If the material basis of the world had any essential definitions (formations), these would act as limiting factors to its ability to be transformed infinitely. Its essential lack of definition is an absolute requirement for God’s creative omnipotence. The condensed energy in the pre-creation neutron soup was continuously building up. This condensed energy reached the optimum concentration of buildup energy that led to its explosion and expansion outwardly, about 15 billion years ago. The loud sound of this explosion is what caused the breakup of the constituent parts of the universe. The Ancient Egyptian texts likewise repeatedly stressed that the divine commanding voice—meaning the Divine Sound was the cause of creation. We also find, in the Book of the Divine Cow (found in the shrines of Tut-Ankh-Amen), that the heavens and their hosts came into existence merely by pronouncing words whose sound alone evokes things. As its name is pronounced, so the thing comes into being. For the name is a reality; the thing itself. In other words: each particular sound has/is its corresponding form. Modern science has confirmed a direct relationship between sound wave frequency and form. The word (any word) is, scientifically, a vibrational complex element which is a wave phenomenon characterized by movements of variable frequency and intensity. In other words, sound is caused by compressing air particles—by rearranging the spacing and movement of air particles, i.e. creating forms. Each sound wave frequency has its own geometrical corresponding form. The divine sound transformed the potential inert energy/ matter in Nun into the parts of the universe as differentiated, orderly, structured kinetic energies in the form of objects, thoughts, forces, physical phenomena, etc. Transforming one type of energy (potential) into another type (kinetic) made the universe come to life, in whole and in its constituent parts. It is all a matter of energies. As we have seen, creation came out of the state of no-creation. The Egyptians called it Nun. None or nil also represents the pre-creation state of the universe. There is NO universe: NONE NILL ZERO. Such a state of the universe represents the Subjective Being—unformed, undefined, and undifferentiated energy/matter. Its inert energy is inactive. On the other hand, the creation state is orderly, formed, defined, and differentiated. The totality of the divine energy during the creation state is called Atam by the Egyptians. Creation is the sorting out (giving definition to/bringing order to) all the chaos (the undifferentiated energy/matter and consciousness) of the primeval state. 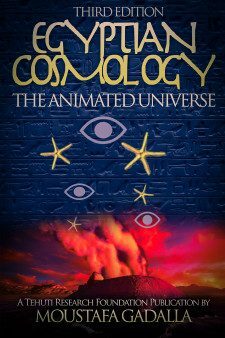 All of the Ancient Egyptian accounts of creation exhibited this with well-defined, clearly demarcated stages. The first stage of creation was the self-creation of the Supreme Being as creator and Being, i.e. the passage from Subjective Being (Nu/Ny/Nun) to Objective Being (Atam). In simple human terms, this is equivalent to the moment that one passes from sleeping (unconscious state, subjective being) to being aware of oneself (gaining consciousness, objective being). It is like standing on solid ground. Salutation to thee, he who comes into being by himself! Atam means the One-ness of all; the complete. Atam is connected with the root, ‘tam’ or ‘tamam’, meaning “to be complete” or “to make an end of”. “I am many of names and many of forms, and my Being exists in every neter”. Numerically, one is not a number, but the essence of the underlying principle of number; all other numbers being made of it. One represents Unity: the Absolute as unpolarized energy. Atam as the number One is neither odd nor even, but both. Atam is neither female nor male, but both. Atam is the totality of the orderly energy matrix during the creation stage, while Nun is the disorderly energy compound—the Subjective Being. The total divine energy within the universe is called Nun in its chaotic state and Atam in its orderly creation and its point of state/process. Atam represents the release, in an orderly sequence, of the existing energy within Nun, i.e. bringing it to life. This represents the Objective Being. Nun and Atam are images of each other, like the numbers 0 and 1. 0 is nothing, nil; and 1 means “the all”. Creation is the sorting out (giving definition to/bringing order to) all the chaos (the undifferentiated energy/matter and consciousness) of the primeval state. All of the Ancient Egyptian accounts of creation exhibited this with well defined, clearly demarcated stages. The seed of creation out of which everything originated is Atam. And, just as the plant is contained within the seed; so everything that is created in the universe is Atam, too. “When I manifested myself into existence, existence existed. I came into existence in the form of the Existent, which came into existence in the First Time. Coming into existence according to the mode of existence of the Existent, I therefore existed. And it was thus that the Existent came into existence”. In other words, when the Master of the Universe came into existence, the whole of creation came into existence, because the Complete One contains the all. We just saw that when the Master of the Universe came into existence, the whole creation came into existence, because the Complete One contains the all. The cycle of creation is caused and maintained by divine forces or energies. These energies like the perpetual cycle of creation go through a process of transformation from birth-life-aging-dying-death to rebirth. We, as human beings, have similar life forces that change throughout our lifetime. Our human bodies consist of numerous cycles that govern our life existence. All forces die out when we die. The Egyptians called these divine forces neteru. The main theme of the universe is its cyclical nature. The NeTeRu are the forces of NaTuRe, which make the world go around—so to speak. To simply call them gods and goddesses gives a false impression. 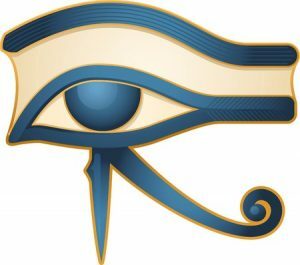 The Divine energy that manifests itself in the creation cycle is defined by its constituent energy aspects, which were called neteru by the Ancient Egyptians. In order for creation to exist and to be maintained, this divine energy must be thought of in terms of male and female principles. Therefore, Ancient Egyptians expressed the cosmic energy forces in the terms of netert (female principle) and neter (male principle). The Egyptian word ‘neter’ (or nature or ‘netjer’) means a power that is able to generate life and to maintain it when generated. As all parts of creation go through the cycle of birth-life-death-rebirth, so do the driving energies, during the stages of this cycle. It is therefore that the Ancient Egyptian neteru, being divine energies, went (and continue to go) through the same cycle of birth-growth-death and renewal. Such understanding was common to all, as noted by Plutarch; that the multitude forces of nature (known as neteru) are born or created, subject to continuous changes, age and die, and are reborn. We can give the example of the caterpillar that is born, lives, then builds its own cocoon, where it dies – or better yet, transforms into a butterfly which lays eggs, and on and on. What we have here is the cyclical transformation from one form/state of energy to another. Another example is the water cycle—the water that evaporates, forming clouds that rain back to earth. It is all an orderly cyclical transformation of energies in various forms. In scientific circles, this is known as the natural law of conservation of energy, which is described as the principle that energy is never consumed, but only changes form, and the total energy in a physical system, such as the universe, cannot be increased or diminished. This matrix of energies came as a result of the initial act of creation and the subsequent effects that created the universe. This matrix consists of an organized hierarchy. Each level of the hierarchy of existence is a theophany—a creation by the consciousness of the level of being above it. The self-contemplation by each stage of existence brings into being each lower stage. As such, the hierarchy of energies is interrelated, and each level is sustained by the level below it. This hierarchy of energies is set neatly into a vast matrix of deeply interfaced natural laws. It is both physical and metaphysical. The Ancient and Baladi Egyptians made/make no distinction between a metaphysical state of being and one with a material body. Such a distinction is a mental illusion. We exist on a number of different levels at once, from the most physical to the most metaphysical. Einstein agreed with these same principles. Since Einstein’s relativity theory, it has been known and accepted that matter is a form of energy; a coagulation or condensation of energy. As a result, the natural law for the conservation of matter or mass similarly states that matter is neither created nor destroyed during any physical or chemical change. Energy is made up of molecules rotating or vibrating at various rates of speed. In the “physical” world, molecules rotate at a very slow and constant rate of speed. That is why things appear to be solid, to our earthly senses: The slower the speed, the more dense or solid the thing. In the metaphysical (spirit) world, the molecules vibrate at a much faster rate or in an ethereal dimension where things are freer and less dense. In this light, the universe is basically a hierarchy of energies at different orders of density. Our senses have some access to the densest form of energy, which is matter. The hierarchy of energies is interrelated, and each level is sustained by the level below it. This hierarchy of energies is set neatly into a vast matrix of deeply interfaced natural laws. It is both physical and metaphysical. The universal energy matrix encompasses the world as the product of a complex system of relationships among people (living and dead), animals, plants, and natural and supernatural phenomena. This rationale is often called Animism because of its central premise that all things are animated (energized) by life forces. Each minute particle of everything is in constant motion – i.e. energized, as acknowledged in kinetic theory. In other words: everything is animated (energized)—animals, trees, rocks, birds – even the air, sun, and moon. The faster form of energies—these invisible energies in the universe—are called spirits by many. Spirits/energies are organized at different orders of densities, which relates to the different speeds of molecules. These faster (invisible) energies inhabit certain areas, or are associated with particular natural phenomena. Spirits (energies) exist in family-type groups (i.e., related to each other). Energies may occupy, at will, a more condensed energy (matter) such as human, animal, plant, or any form. The spirit animates the human body at birth and leaves it at death. Sometimes more than one energy spirit enters a body. We often hear that a person is ‘not feeling himself/herself’, or is ‘temporarily insane’, ‘possessed’, ‘beside himself’, or we hear of a person with multiple personalities. The energies (spirits) have an effect on all of us, to one degree or another. “And so the neteru (gods, goddesses) entered into their bodies, in the form of every sort of wood, of every sort of mineral, as every sort of clay, as everything which grows upon him (meaning earth)”. The neteru (gods, goddesses) are the divine energies/ powers/forces that, through their actions and interactions, created and maintained (and continue to maintain) the universe. “Rejoice, O heavens, with him; and do obeisance to him, ye gods”. When the passage is quoted in the New Testament (Hebrews, 1:6), the word ‘gods’ is substituted with ‘angels of God’. The spheres of neteru (known also as angels and archangels, in Christianity) are hierarchical among the levels/realms of the universe . The system of creation is a system of necessary emanation, procession, or irradiation accompanied by necessary aspiration or reversion-to-source. All the forms and phases of Existence flow from the Divinity, and all strive to return thither and to remain there. As a consequence of the Big Bang, the expulsion forces, which cause all galaxies to move outwardly, are being opposed by the gravitational/contractional forces which pull the galaxies together. At the present time, the outwardly forces exceed the contractional forces; and therefore, the limits of the universe are still expanding. Scientists tell us that at a certain point in time in the future, the universe will stop expanding and will start getting smaller. The microwave radiation from the Big Bang fireball (which is still rushing around) will start squashing down, and will heat up and change color again until it becomes visible once more. The sky will become red, and will then turn orange, yellow, white … and will end in the Big Crunch; i.e., all the matter and all the radiation in the universe will come crashing together into one unit. The Big Crunch is not the end in itself; for the reunited, crunched universe (neutron soup) will have the potential for a new creation, which is called the Big Bounce. So it is not surprising that the Ancient Egyptian texts have also described, in their usual Egyptian symbolic terms, The Big Crunch and the Big Bounce. “After the millions of years of differentiated creation the chaos before creation will return. Only the Complete One [Atam] and Aus-Ra will remain. . . no longer separated in space and time”. The Ancient Egyptian text tells us two points. The first is the return of the created universe to chaos at the end of the creation cycle, which signifies the Big Crunch. The second point is the potential for a new cyclical rebirth of the universe as symbolized by the presence of Aus-Ra. Let us pause here for a few minutes to learn about what has been advertised as “names” of deities in Egypt. Aus-Ra consists of two words. The word Aus means the power of, or the root of. As such, Aus-Ra means the power of Ra; meaning: the re-birth of Ra. The principle that makes life come from apparent death was/is called Aus-Ra, who symbolizes the power of renewal. The main theme of the Ancient Egyptian texts is the cyclical nature of creation being born, living, dying, and regenerating again.